Black Pink landed the cover of Singaporean magazine 'TEENAGE'! The magazine introduces them by saying, "Black Pink's in the area! 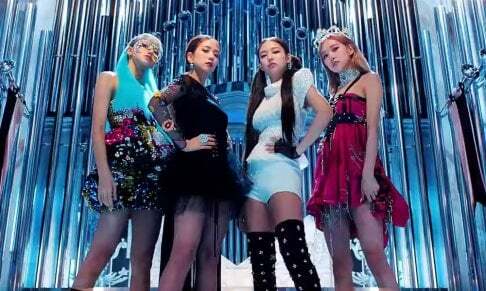 The first girl group to debut from YG Entertainment in seven years, Black Pink's unique blend of signature YG-style music and idol-worthy pretty looks has whipped the industry into a frenzy. We find out if these rookie chart-toppers are truly worth the hype." Even though it hasn't even been two months since the girls' debut, they're already becoming cover models for international magazines. What a feat!